Yesterday, Microsoft announced the release of Outlook for iOS as as well as a preview version of Outlook for the Android operating system. This version of Outlook, which comes as Microsoft’s mobile version of Office leaves Preview stage, is clearly designed to compete with Gmail’s “email killer” app Inbox (currently in invite-only beta). Not to be outdone, Google announced that guaranteed invites to Inbox, which sorts mail into categorized “bundles” like Promos, Travel, and Finance, would be available to anyone who asked between 12pm Thursday and 12pm Friday ET. The new Outlook app certainly takes some cues from Gmail’s bundles, but creates only two categories of email: Focused and Other. 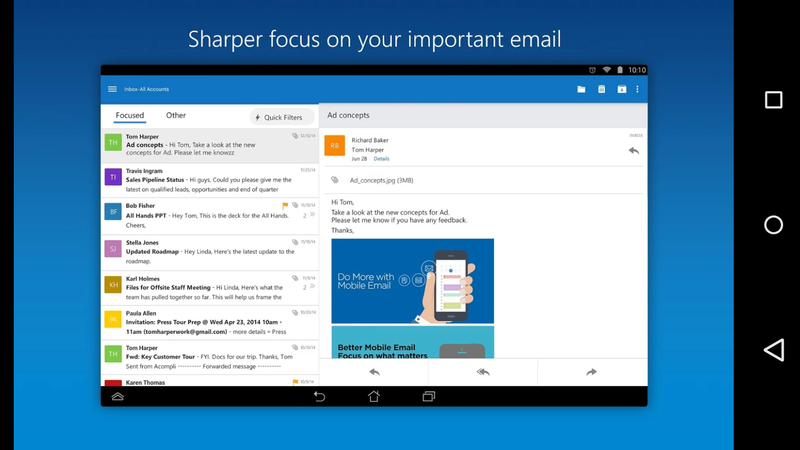 Focused consists of the emails that Outlook believes are important to you, much like Gmail’s Priority Inbox (a precursor to the Inbox app). Users can determine future behavior by moving mail from Focused to Other, or vice versa, as needed. Even though Google has been tossing out Inbox apps left and right, it’s still a beta product that has somewhat limited release – for now. With the release of the Outlook app for mobile, it’s likely that Google will speed up the rollout of Inbox to compete, which could have implications for senders in the form of decreased open rates for mail that is routed into one of the predetermined bundles provided by Google and Microsoft. However, it’s also possible that, like Gmail’s Tabbed Inbox, users on mobile may find the categories actually help them read more of their email, by placing it into handy folders they can check at specified times. It’s too early to say what impact this new breed of email apps will have on senders, but it’s certainly safe to say the mobile email space is changing rapidly. As compartmentalization of the inbox increases, timely, relevant emails will continue to represent senders’ best chance to cut through the increasingly noisy email space.